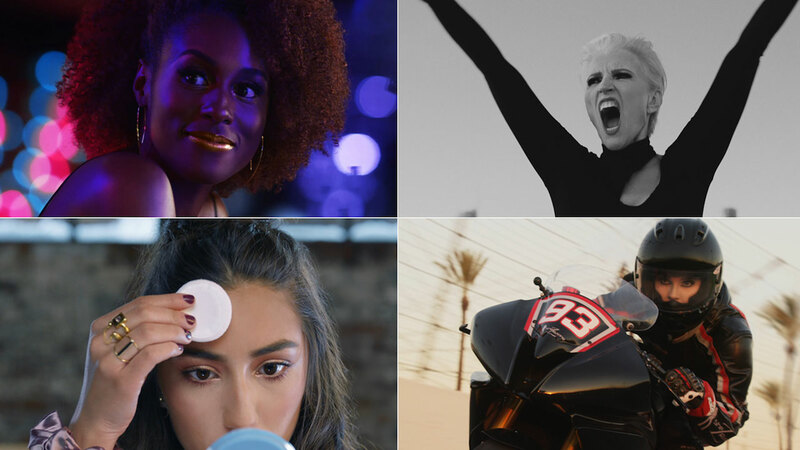 The Mill’s New York VFX team recently joined forces with Droga5 to bring Hennessy’s latest spot ‘Major’ to life. 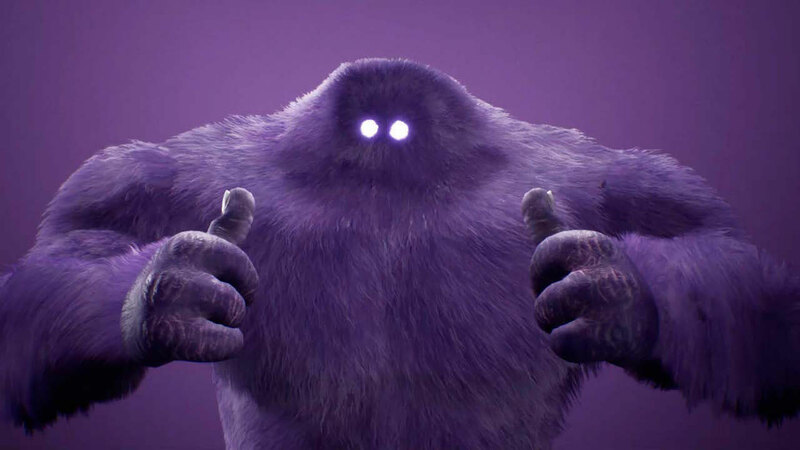 The Mill’s VFX team, creatively led by David Fleet and Gavin Wellsman worked closely with Cianfrance and the creative team from Droga5 to bring the powerful story to life through a multitude of digital effects, including some scenes crafted almost entirely in CGI. Director Derek Cianfrance was keen that the crowd extensions did not look CG and given the detail of the period costumes, it would have been very difficult to recreate the crowd this way. To tackle this, Dave and Gavin decided to film as many extras as possible elevated high above the floor on a platform against a green screen. Each actor was filmed at 5 different rotations and 3 heights simultaneously. Footage of around 50 different actors was prepped and rendered into 500 frame sequences at high resolution. The team built a Gizmo in Nuke to divide the stadium into sections, before feeding in point cloud data to populate crowd members into each section. They then used Nuke’s particle system to dynamically switch to any angle on-the-fly depending on the camera angle. Having the actors filmed from so many angles and rotations allowed the team to populate the crowd with real people from any vantage point in the stadium. The system could select from thousands of potential variants of the crowd. These files were then merged into a single channel flow, enabling the team to efficiently populate the entire velodrome stadium. This was an incredible amount of sequence data for Nuke to handle and the team certainly pushed it to it’s limits. The Vortex is the centerpiece that brings Major Taylor into his dreamscape. This was the earliest shot to start and the last to be finished, with over 70 versions of the model alone. The team took broad inspiration from the Harbin opera house in Beijing to 1930s constructivism and optical illusions. The final design took its base from the original turn-of-the-century Madison Square Garden design, being built mostly from exposed iron metalwork and beams. This proved a huge challenge as the final model was over 100 million polygons, which was animated through a mixture of deformers for its optical distortion effect. It was incredibly tough to convey the depth of the vortex, so the team shaped the final model to camera, giving it an infinite, dream-like quality. The atmospherics were created from incredibly high resolution VDBs from Houdini, which were scattered through the scene at varying densities to create a complex fog, which matched what was shot in-camera. A unique system of layering was employed to correct the interaction of fog and atmospheric lighting, ensuring they were seamlessly composited correctly when mixed with the VDB volumes. The descent sequence was built almost entirely within CG, with the exception for Major Taylor himself. The entire velodrome was rebuilt based on an incredibly high resolution lidar scan of the on set environment. This included a detailed full replacement to the ceiling to evoke a turn of the century Victorian look. To give this scene a dream like quality, the shots were obscured with heavy smoke and fog FX. The VFX team worked carefully to balance the smoke levels, enabling the environment to be visible, without detracting from the core narrative. Arnold was used for all CG lighting. The lighting team loaded Arri photometric IES profiles into Arnold’s lights which allowed them to more accurately mimic the look and feel of the practical lights used on set. The beams scattered through the VDB fog volumes exposing the unique shape and fall-off of each light which gave the lighting an additional layer of realism. The fire sequence consisted of augmenting forest plates with a plethora of tall Birch trees, which were created in CG using Speedtree and Zbrush. These were used to give the forest extra density and to emphasize the backlighting of the trees from the fire in the distance. 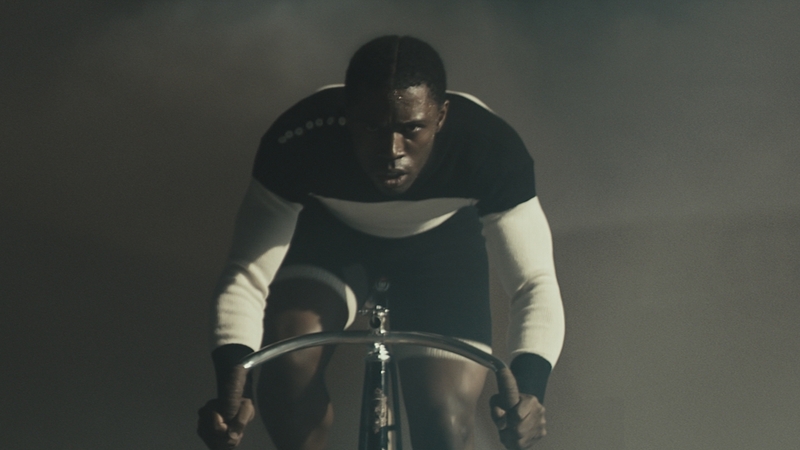 In many of the close-ups of Major Taylor, you see an entirely a digital forest in the background. One of the most impressive aspects on this project was the extreme density and resolution that the VDB volumetrics were able to be pushed to. Some of the volume animations approached 30GB per frame. The volumes were used to give an attenuated scattering light from the source of the fire in the distance. Digital grass and weathered trackboards, that were procedurally textured in Substance Painter were added under Major Taylor to make them appear as if they were sitting on the forest floor for years. The Void sequence required exploration to craft a vast empty space that had depth, character and demonstrated distance travelled. Through subtle layering of trees, clouds and lighting gradients the team was able to strike a balance between depth and simplicity. Director of Photography Roman Vasyanov designed an overhead rig that enabled lights to orbit Major as he cycled above the stage floor. This added to the distortion and disorientation of the scene. The spot culminates in a climactic shot of Major defeating his ‘ghost self’. In order to keep the transition simple and in-keeping with the tone of the spot, the VFX team studied the art of double exposure photography. They were able to achieve the final look by timing out both Major characters at varying speeds from the same take. This meant they captured them in perfect alignment crossing the finishing line, achieving a layering effect that mimicked a double exposure. 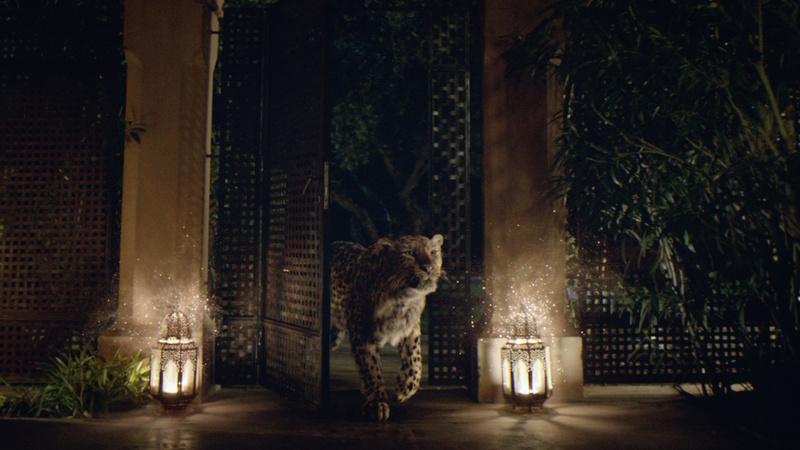 The production used a beautiful set of vintage russian anamorphic lenses with an high degree of lens distortion. We shot distortion grids for all lenses are varying focal distances, which proved invaluable as multiple shots had very difficult lens breathing to deal with. This normally would have proved very hard to track, but having a millimeter accurate lidar scan of entire velodrome provided the team with an excellent survey data.